"Sunday Square Off" moderator Brahm Resnik hosts a debate between Democratic candidates for state school superintendent. The "Sunday Square Off" series of Arizona primary debates continues Friday morning with the Democratic candidates for state school superintendent: Kathy Hoffman and David Schapira. Hoffman is making her first run for public office. She has been a public school teacher for five years. Schapira has held several elective offices: state legislator, Tempe City Council member and school board member. The two Democrats are running for the job held by Republican Diane Douglas. Douglas is running in a five-person GOP primary for superintendent. The primary is Aug. 28. Early ballots are arriving in Arizona voters' mailboxes this week. 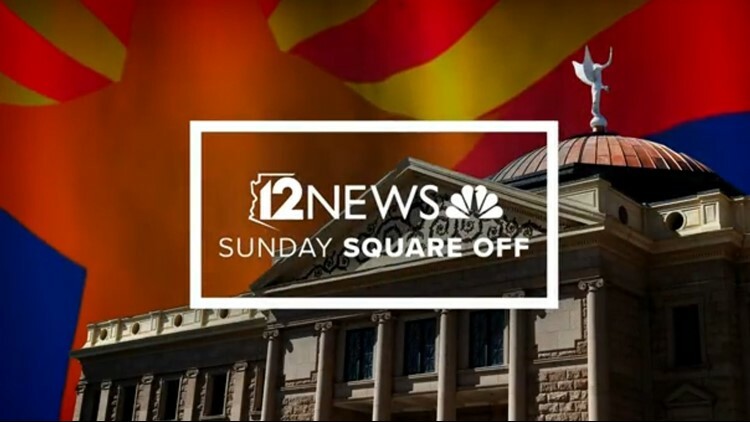 “Sunday Square Off” is broadcast on 12 News at 8 a.m. Sundays.